The wedding was a small affair, just a Swiss guard, his fiancé, and a few friends at the Church St Stephen of the Abyssinians in Vatican City on July 14, 2018. But as the group prepared for the ceremony with Brazilian priest Father Renato dos Santos, another well-known cleric entered the sacristy and said he would like to perform the ceremony. The unexpected guest celebrant: Pope Francis. Nobody present knew he was coming. 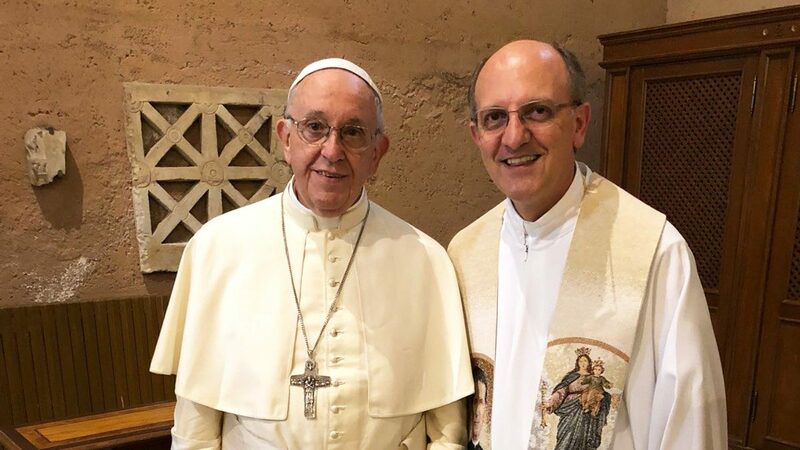 “Never in my life, never would I have thought of finding the Pope in a sacristy,” Fr. dos Santos told Vatican News. The Brazilian priest noted the people inside the church were so surprised they were wondering if it was really Pope Francis. “I saw him as a true parish priest who takes care for his own sheep in the parish,” Fr. dos Santos said. “He’s always done it this way.